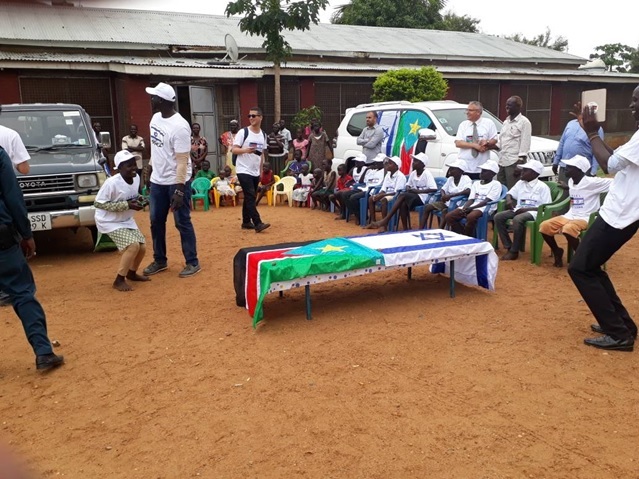 At least 15,100 vulnerable people in Torit and Juba are expected to benefit from the BRAC Agriculture, Food Security and Livelihood (AFSL) program. The project was launched in Torit last Wednesday. Emergency Livelihood Support Project is being funded by Food and Agriculture Organization (FAO) of the United Nations. Mr. Habibur Rahman Khan, Programme Manager (Agriculture), Stitching BRAC International pledged his organization commitment to working with South Sudanese to improve food security and livelihoods across the targeted counties. According to him, the launch of this project in Torit County would be followed by another launch in Juba. Mr. Stephen Lowum, Project Manager, BRAC South Sudan said that the Emergency Livelihood Support Project would support vulnerable household beneficiaries including IDPs, refugees, returnees, host Communities, female heading household, chronically disease affected people through distribution of livelihood kits such as crops seeds, vegetables seeds, tools and fishing kits to support 15,100 household beneficiaries in Torit and Juba. Lodovico Oryem Albert, the Commissioner of Torit County, appreciated BRAC South Sudan for choosing payams with most vulnerable people. Albert said he would provide necessary support needed by BRAC for the implementation of the project. Dr. Isaac Aliardo, the representative of the State Ministry of Agriculture said BRAC will now help the state Ministry of Agriculture by supporting vulnerable people to produce local food by themselves. He welcomed the initiative taken by BRAC in a bid to address the issue of food insecurity in the area. He called for cooperation with the stakeholders to ensure that the project meets its intended goal. Among participants during the launch of the project were the Commissioners of Torit and Torit West Counties, officials from the state ministry of agriculture, forestry and animal resources among others. The Juba Monitor is an independent newspaper based in South Sudan's capital, Juba.